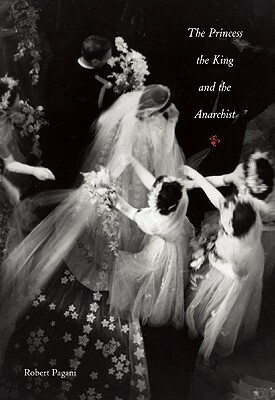 A few months ago, Michelle of Pieces fame posted about Robert Pagani's The Princess, the King and the Anarchist and the differences of opinions she and her book club members faced. Having enjoyed the book, Michelle was surprised at how much her fellow members hated the book. In the comments, I joined Michelle in suggesting that the book was playful - having read the first fifteen or so pages in a bookstore several months earlier (I decided not to buy it due to an unreasonably high price for such a slim book), I had been struck by the charm of Pagani's writing. I promised Michelle I would let her know of my final assessment of the book, once I got around to reading the whole thing. Well. Now I've gotten around to finishing it, and I feel I owe Michelle my opinion (unlike my thoughts on Brodeck, which I promised years ago and never repaid - and it was incredible). The thing is, though, I'm now falling on the side of the other book club members - something about my experience with The Princess, the King and the Anarchist this time just did not sit well. At all. It's a short book, a book that dips in and out of a single day lightly and easily. This is perhaps Pagani's greatest strength - he wastes no time building anything. It's as though he's handed me some kind of short, black-and-white film that flickers and jumps scenes abruptly. The story is three-pronged, told from the third-person points-of-view of the princess, the king and the anarchist. Their voices, however, remain fairly similar and can easily blend into one another (particularly between the two men). And here's the kicker - this time, the charm was missing. Sitting on the floor of the bookstore several months ago, I found myself enchanted by the writing. It was clean, it was simple and it immediately drew me in. The characters seemed like they were living in a fairy tale, seemed to occupy a strange world between the realms of historical fiction and fable. Which is, I suppose, what Pagani was going for. But upon picking it up several months later, having forgotten the difference of opinion surrounding the book, I felt cheated and empty. The writing had lost its sparkle, the characters were merely insufferable, and the ending all-around confusing and even somewhat upsetting. To put it simply, I was disappointed. Truly and sincerely disappointed. Characterization felt thin, the writing felt like it was trying too hard, and the storytelling was confusing, vague and incoherent (which are all kind of aspects of the same problem, I realize, but this is the best description I can come up with). It's not worthless by any means - the writing at times is fairly magical - but it just seemed to fade away somewhere in the middle. Only the short length kept me going at the same pace. While I know this happens to many readers (frequently), I have to wonder if things would have turned out differently had I remained on that bookstore floor for just an hour more, or had taken the book home with me. Would the magic have remained? Would I too have found the book to be playful and gently mocking, or would I feel as frustrated as I do now? Alas, life does not proceed in parallel. I was disappointed, end of story. So fascinating to hear your thoughts on this book, especially after such a big gap between starting it and finishing it. I do wonder sometimes at the magic of the "one-sitting read". I have found that many short, novella type books require this kind of reading. I started a book yesterday - Sara Greenslits, As If a Bird Flew By me - and put it down immediately because I'm pretty sure it's a book that will suffer with an interrupted reading. It's always a bummer when a book changes between that initial, probing, investigation period in the bookstore and those final pages. Here's hoping your next read will be a great one! Also, I know it's late in coming, but thanks for the follow on My Awful Reviews. I just composed a post eerily similar to yours, scheduled to go live tomorrow morning. Let's just say, I know what you mean about going from liking it to "meh."